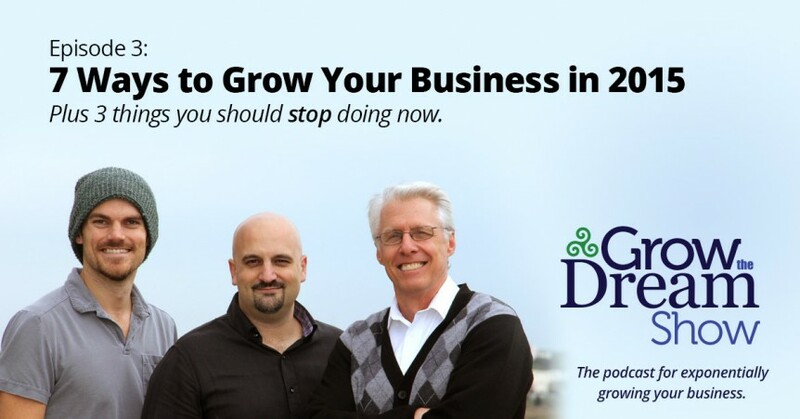 In the third episode of the Growth The Dream Show we’ll share the 7 tactics you can start doing to grow your business this year! Plus, we’ll share the 3 things you should STOP doing immediately. You can now subscribe to The Growth Show via our RSS feed. Collect and display social reviews on your website. STOP hiring an SEO company and buying links. STOP using “set it and forget it” pay-per-clicks. STOP ignoring your email list. Use video on your home page. Reviews on your home page/landing page. Getting influencers and media. PR. Start measuring everything and quantifying ROI. Email your lists at least once per month. Just wanted to let you guys know that the tool of the week is saying goodbye. Bummer! Thanks for pointing this out, Jordan. We saw (after we published our episode) that they weren’t taking any new signups. But we missed this! YUCK! It was a great service!